Pre-order of Mountain. You get 2 tracks now (streaming via the free Bandcamp app and also available as a high-quality download in MP3, FLAC and more), plus the complete album the moment it’s released. "We have some beautiful forests here in Sweden and at least once a week I will take a long walk in a pine tree forest located just outside of town. It's a place where you can breathe and just listen to the sounds of nature, and increasingly that's something that I'm drawn to. This collection of songs was written during a two year period where I was really busy working on film scores and Lights &amp; Motion music, but whenever I got a moment to spare I would sit down at the piano. Without any real pressure or plan to compose, I would get glimpses and shimmers of ideas which I would then write down. It was during this fall when I first began putting together all of this music that I had been writing. I would often listen to those tracks when I was taking my solitary walks in the woods, and somehow the environment I was in began to shape my view of the music. What I ended up with was something that was very tender and soft, always based around the piano, and I wanted to encapsulate the sense of quiet and peacefulness I felt during those walks that shaped this record. There is a song called <I>Midnattsvind</I>, which is the first time I've written a song with a Swedish title, because I wanted to give a little nod to my roots and the beautiful landscape in which I grew up. That is why the artwork of the album is a forest at the twilight of the day, because when I listen back to these songs that's the image I see in my head. The album is called <I>Mountain</I> because I wanted to connect it to the warmth and the surrounding nature of my native Sweden. While I usually like to look to the skies for inspiration when I write music, this time I've stood with my feet firmly planted on the ground. My hope and ambition with this was that it may give you the same sense of calm and tranquility as it's given me during its creation," says Franzen. 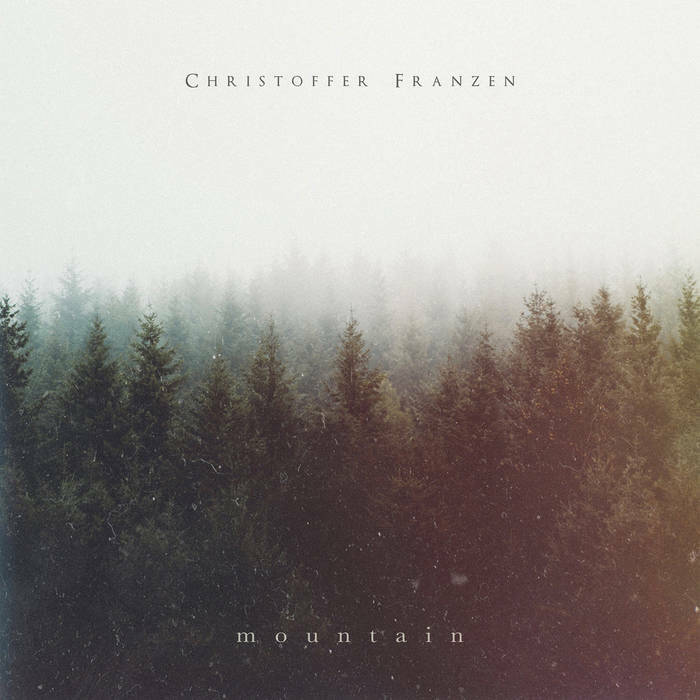 Mountain was composer, performed, produced, recorded, mixed and mastered by Christoffer Franzen at Evelyn Studios, Gothenburg. Cover photo by Cement M. Band photo by Louise Henning. Christoffer's additional composer releases include Phenomenon (2017), Dreamweaver (2015), singles Kaleidoscope, Ocean Floor and Forever Is About To Happen (2018), In I Dimman - Original Motion Picture Soundtrack (2018) and At The End Of The Day - Original Score (2018). Christoffer has also released several albums under the Lights & Motion moniker including Where We Dream (2018), Bloom (2018), Dear Avalanche (2017), Chronicle (2015), Reanimation (2013) and Save Your Heart (2013). Hollywood film trailer credits include Beautiful Boy, Skyscraper, Fast & Furious 7, Concussion, No Escape, Rules Don't Apply, Transcendence, Lone Survivor, Homefront, One Less God, Spare Parts and more. Television, social media and ad campaign clients include HBO, Furious 7, Budweiser, Apple, Google, YouTube, The Vampire Diaries, RipCurl, Make-A-Wish, Alibaba, Audi, Barclays, Bill Nye Saves The World, Boeing, Canon, Dell, Discovery, Dropbox, Four Seasons, Greenpeace, Microsoft, Nat Geo, NHL Stanley Cup, NFL, Nike, Nationwide, Nvidia, PayPal, Specialized, Square, Tesla, Toyota, Unicef, United Way, Vans, Visa and many more. Completely self-taught, Franzen is the epitome of focus.